Cocaine, a powerfully addictive, psychoactive, stimulant drug, is derived from the processed leaves of the cocoa plant. 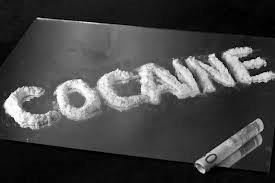 Cocaine can be used by being snorted, smoked or injected. Cocaine does not produce a physical dependence like heroin or benzodiazepines but it can be very psychologically addicting as it increases the amount of dopamine in the central nervous system and activates the brain’s reward circuit. In this way, cocaine is potent brain stimulant and one of the most powerfully addictive drugs. Cocaine rose to prominence in the 1980’s as the world’s most popular recreational drug. It was powerful, cheap and plentiful. It walked hand-in-hand with the rising economy and fast money of young professionals. Later on, with the emergence of even more cheap and more plentiful crack cocaine, the drug affected every social class. However, way before the glitz and glamour of the 80’s, cocaine was being hailed as a “wonder drug” by some of the world’s greatest minds, including Sigmund Freud and the pioneering surgeon William Halsted. According to historian Dr. Howard Markel, it was even promoted by the likes of Thomas Edison, Queen Victoria and Pope Leo XIII. 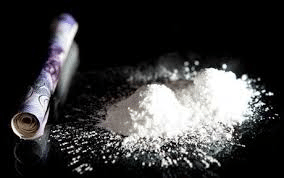 Cocaine has been hailed as a medical marvel, a psychological treatment breakthrough and a important helper for those that want to club and party all night or stay awake to study. It is a well-known alcoholic support that lets people stay awake much longer to drink more. It has also contributed to the deaths of well-known University of Maryland star basketball player Len Bias, The Who bass player John Entwistle, and actor/comedian John Belushi. Treatment for cocaine addiction or cocaine abuse does not often include a need for a medical detoxification. The drug stays in a users body between 24-72 hours but the physical effects subside very quickly after last use. Therefore, little of a typical detox is necessary. Treatment will include behavioral interventions, including cognitive-behavioral therapy, as well as other evidence-based treatment. Individual and group therapy and counseling would be utilized. However, the same comprehensive addiction treatment used for any person suffering from substance abuse would be used. A holistic approach that looked at the substance abuse, the underlying causes and conditions, emotional state, character pathologies, family dynamics would be examined, assessed and treated. The successful addiction treatment paradigm of medical treatment, psychotherapeutic treatment and social services/vocational counseling combined into one integrated approach would be used to treat cocaine abuse and addiction. If you or someone you know is suffering from cocaine abuse or cocaine addiction or any other issues with drugs and alcohol, please call us for help. Maryland Addiction Recovery Center offers the most comprehensive addiction treatment in the area. Please call us at (410) 773-0500 or email info@marylandaddictionrecovery.com. For more information on all of our addiction treatment services and resources, please visit the web site at www.marylandaddictionrecovery.com.